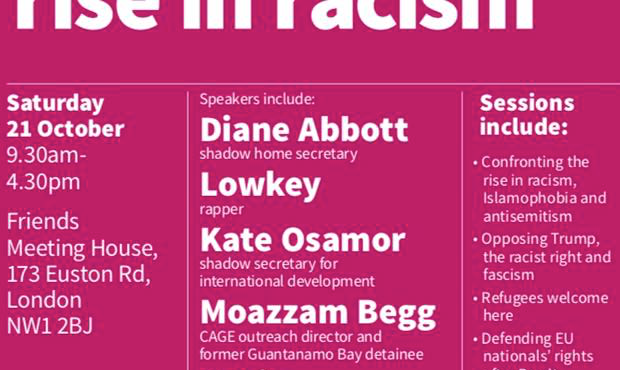 An anti-racism conference headlined by Diane Abbott has dropped a speaker with links to Islamic State terrorist ‘Jihadi John’, the Citizen can reveal. Stand Up to Racism’s national conference at Friends Meeting House in Euston, London, this Saturday (21 October) advertised Diane Abbott, a Hackney MP and Shadow Home Secretary, as its star speaker. 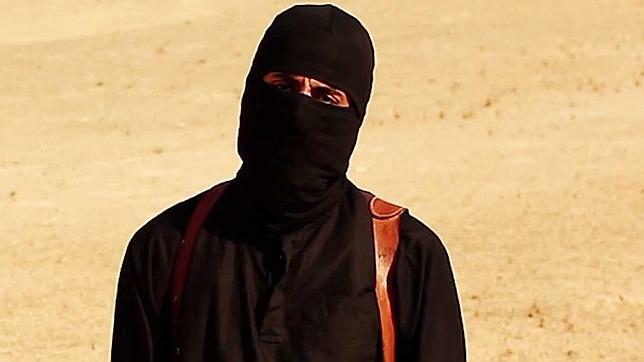 Also advertised was Moazzam Begg, a former Guantanamo Bay inmate and director of the group CAGE, which has called Mohammed Emwazi – also known as Jihadi John – a “beautiful young man”, and been condemned by Amnesty International. However, when the Citizen contacted the organisers and Diane Abbott, both said Begg would not be speaking, but gave no reason for his apparent invitation or removal. When asked why Begg was still advertised on Eventbrite and Facebook as of 6pm last night, Dhalu declined to comment. 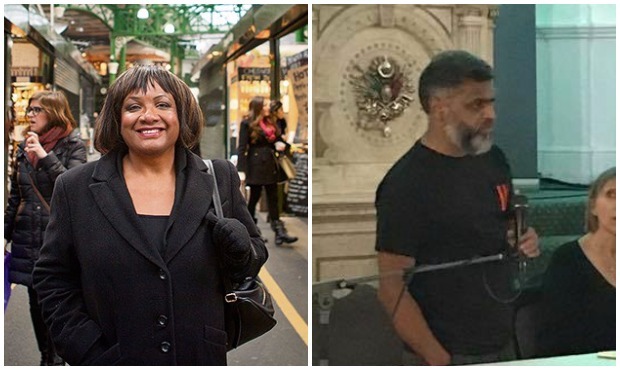 A spokesperson for Diane Abbott, emailing last night, said: “I have just spoken to the organisers and it is my understanding that Moazzam Begg is not speaking at the conference. Last month, SUTR’s Hackney branch dropped speaker Catherine Heseltine from a local event after the Citizen pointed out her group MPAC UK is no-platformed by the National Union of Students for its “racist views”. But Hackney SUTR defended its invitation to Moazzam Begg and hosted him at the 20 September event. A spokesperson said: “There is no truth to the claim that CAGE advocates terrorism or that it has connections with racist, terrorist or fascist organisations. Dhalu has declined to say if SUTR stands by this statement from its Hackney branch. Diane Abbott’s spokesperson declined to say whether the MP was concerned about attending an event that apparently invited Begg, and whose Hackney branch recently hosted Begg and defends CAGE. Labour MPs Kate Osamor and Catherine West, also booked to speak at the conference, declined to comment at time of publication. Funding for CAGE was suspended by the Joseph Rowntree Trust and the Roddick Foundation in March 2015 over CAGE’s links with Emwazi. Amnesty International also cut ties with the group in 2015 after its research director Asim Qureshi refused to condemn FGM and death by stoning. At the time, Amnesty International UK director Kate Allen said his remarks were “completely unacceptable, at odds with human rights principles and serve to undermine the work of NGOs, including Amnesty International”. Last month counter-extremism expert Rashad Ali, of the Institute for Strategic Dialogue, told the Citizen: “I think it is horrific the way people like Begg were treated in the war on terror, and how policies pursued for decades have done little to reduce institutional racism, as [Labour MP] David Lammy’s recent report shows.